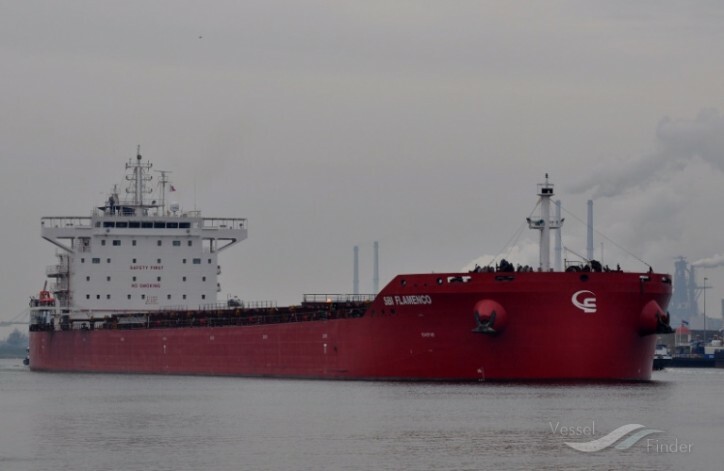 Scorpio Bulkers Inc. (NYSE:SALT) (Scorpio Bulkers) announced today that the Company has entered into agreements to sell two Kamsarmax vessels for $48 million and provided an update to Time Charter Equivalent (TCE) rates for the first quarter of 2019. The Company has entered into agreements with unaffiliated third parties to sell the SBI Electra and SBI Flamenco, two 2015 Chinese built Kamsarmax vessels, for approximately $48 million in aggregate. Delivery of the Vessels is estimated to take place in the second quarter of 2019. It is estimated that the Company’s liquidity will increase by approximately $18.6 million after the repayment of the Vessels’ outstanding debt. Below is a summary of the approximate average daily TCE rates for voyages fixed thus far for the first quarter of 2019. The TCE rates include vessels on previously announced time charter-out agreements. “After a down-trending month of January and a very weak February, time charter rates have consistently improved for the last few weeks as demonstrated by the BPI and BSI indexes,” said Emanuele Lauro. Scorpio Bulkers Inc. is a provider of marine transportation of dry bulk commodities. Scorpio Bulkers Inc. will have an operating fleet of 55 vessels consisting of 54 wholly-owned or finance leased drybulk vessels (including 17 Kamsarmax vessels and 37 Ultramax vessels), and one time chartered-in Ultramax vessel. The Company’s owned and finance leased fleet will have a total carrying capacity of approximately 3.7 million dwt and all of the Company’s owned vessels will have carrying capacities of greater than 60,000 dwt.